Before we shop for a product, we shop for reviews. Reports from consumers and advice from specialists help clear the air when you’re in a fog about which features and functionalities you should look for. For example, you’re in the market for a home air purifier. You yearn for that crispy clean air that spreads like an invisible freshly laundered sheet over the room. Given the potentially overwhelming number of things to consider, though, you’re a bit at a loss. What type of filter or air flow rate should the ideal air cleaning machine exhibit? How does it perform at high speeds comparative to low speeds? 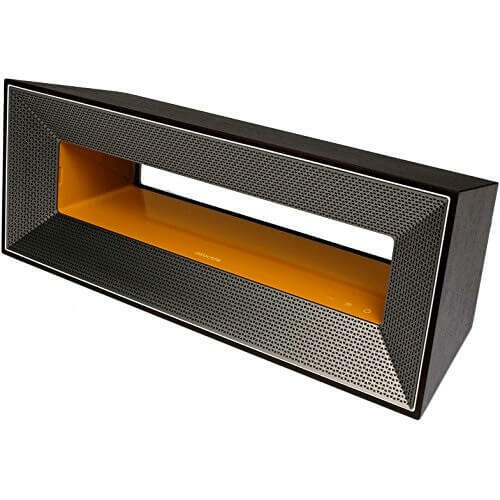 Is it stealthy quiet or loud enough to have your neighbors knocking on your doors? Overselling can be an easy trap to fall into. We’ve filtered through a mass of ratings and accounts and dusted off any traces of biased or irrelevant claims. In the end, we came up with a few winners that will perform best for your needs and improve indoor air quality. In theory, a home air purifier should remove up to 99.9% of the smallest-sized pollutants and allergens, such as dust, pollen, mold mist, tobacco smoke, viruses, and bacteria. Most people purchase a product of the likes to ease asthma symptoms, alleviate allergies, or even treat contagious diseases such as flu. However, there’s little actual medical evidence that a home air purifier relieves respiratory problems. So take a deep breath – if it doesn’t make you cough. But first, before we plunge you into the mystifying world of air cleaners, let’s try some of the more conventional and less expensive ways to purify the atmosphere in your home. What can you do to reduce the air pollutants from an enclosed living space? Vacuum often using a vacuum cleaner with HEPA filtration, a high-efficiency particulate air machine that traps air irritants in a mesh. Provide monthly maintenance for your heating and air-conditioning equipment. Change the filters regularly. Put the kitchen and bathroom exhaust fans to regular use. Store any chemicals, glues, or pesticides outside the living area. Candles and crackling wood fire tend are as romantic as they are harmful to the air quality around. Use as rarely as possible. Following our next tips could simplify the purchase process and reduce the bewildering range of products on the market to a few cherry-picks to give you the sweet taste of a truly competent air purifier. Of course, personal preference will ultimately seal the deal. CADR stands for Clean Air Delivery Rate and indicates the volume of filtered air delivered by a home air purifier. 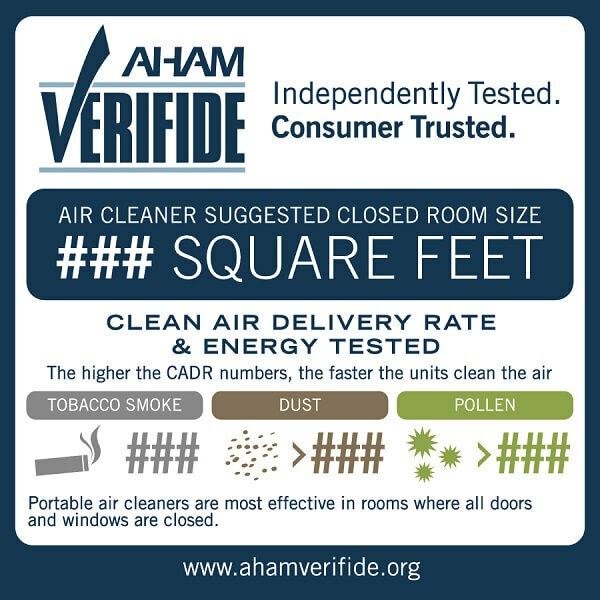 AHAM, the Association of Home Appliance Manufacturers, has been conducting tests and measuring the CADR of air cleaners for four decades now. CADR also stands for an objective standard of the effectiveness of an air cleaning machine. Regardless of the technology in use – HEPA filtration or ionizer, for example, the CADR gives three separate readings of pollutants such as dust, pollen, and smoke. Tobacco Smoke: 10 to 450 CADR. Dust: 10 to 400 CADR. Pollen: 25 to 450 CADR. Your average air purifier will use more than a refrigerator, approximately 550 kWh per year in electricity. If you aim at cutting costs, look for brands that bear the Energy Star seal. It means they are up to 40% more energy-efficient than the standard on the market, a feature that will cut in half your home’s electricity consumption and utility bills. Maintenance expenses shouldn’t be overlooked either. In a single year, many portable air purifiers will bring the costs higher in replacement parts than their original purchase price. Pay particular attention to filters! 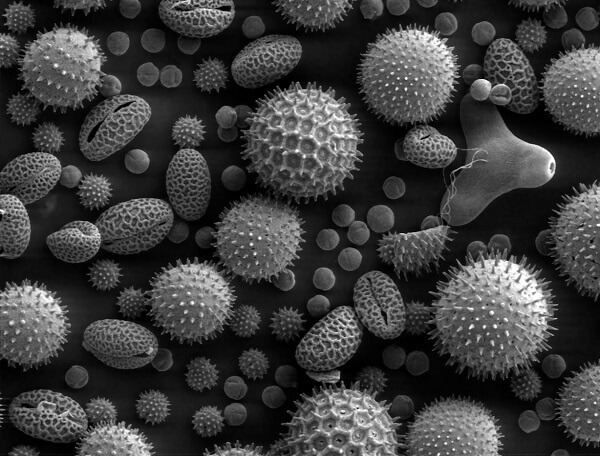 HEPA air purifiers use HEPA, or high-efficiency particulate air filters to remove over 99,97% of the airborne irritants in a size as tiny as 0.3microns. 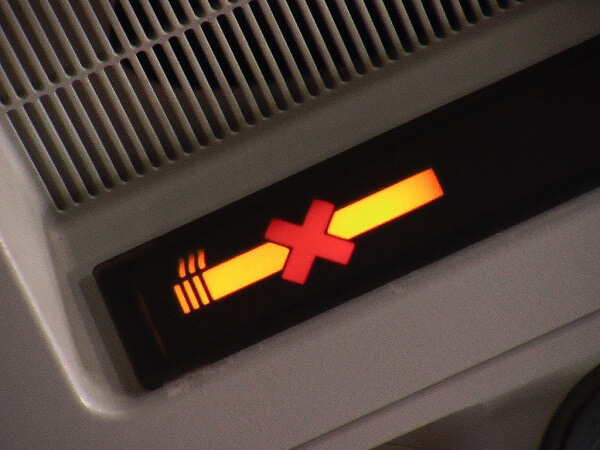 On the other hand, a non-HEPA air cleaning machine doesn’t do battle with more than 85% to 95% of air contaminants. Filters carry price tags that run from as little as $10 to about $100. However, they don’t last long in the race against time. In many cases, you’ll find yourself with a broken filter every three to six months. One useful feature is a filter change indicator. It will let you know when to switch to another filter so you don’t buy one prematurely. Another recommendation is to look for a home air purifier equipped with a pre-filter. The added feature offers a longer life span to your air purifier by trapping the larger pollutants before they reach the main filter. If the pre-filter itself is washable or can be vacuumed, you’ve really hit high-quality merchandise. Are You a Fan of Speed? However, air flow depends on more than the type of filter in use. The speed of the fan is also worth considering when buying an air purifier. Most models include settings that allow you to control the fan at various air cleaning needs. 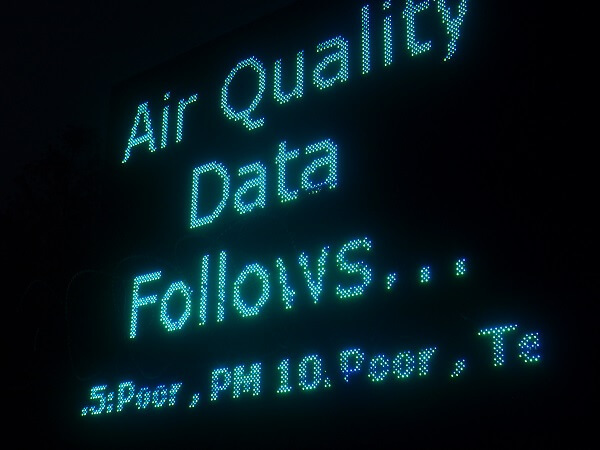 For example, choosing a higher speed makes sense if the air purifier’s sensors register an increased level or airborne harmful particles that need to be filtered faster. On the other hand, set your filter on lower gear at night time if the noise of pollutants being exterminated disturbs your peaceful sleep. Quietness counts, especially when we have ourselves surrounded with machines and devices that give out a permanent white noise, undercutting our need for precious silence. If you choose a larger unit and keep it on a lower speed, you won’t have to go to sleep wearing ear plugs. The World Leaders Among Air Purifiers! The top selling air purifiers are portables. They can be moved around in order to air out every other room in the house. Let’s see how the next brands fared in the battle against air irritants and pollutants. 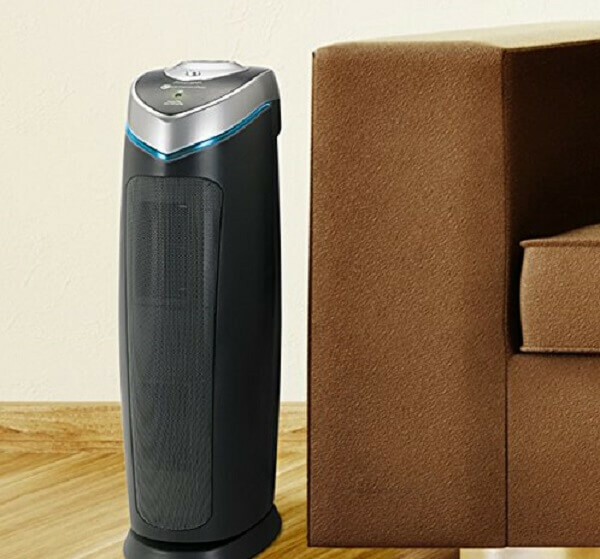 If a brand’s reputation lies in the name, then you can hardly fail with a home air purifier called the Germ Guardian. The model uses a very handy 3-in-1 air cleaning system that is highly intolerant to dirty and smelly air. As it should be. The pre-filter uses activated carbon to trap dust, lint, and hair. The HEPA filter deals with the mold spores and pet dander. The UV-C light layer eliminates any danger of rhinovirus, streptococcus, and E. colispreading through the room. The unit’s CADR, or Clear Air Delivery Rate is 100+ which makes for an adequately high standard rating. Moreover, put the Germ Guardian AC4825 in any beauty competition and its sleek black silhouette and twinkling blue LED light will win it the big prize. To welcome the Guardian into your home, take a look at Amazon and see if the very affordable price tag fits nicely with all the other competitive features. Everyone seems to be panting for air to bring to your attention the IQAir New Edition HealthPro Plus air purifier. More so after Frank Hammes, the president of IQAir, apparently tested it himself by entering a chamber where a SEAL team shot poisonous gas through. If you want to be impressed, check it out yourself here. This sterling model goes beyond absorbing air pollutants as small as 0.3microns with the HEPA filter. It boasts a microparticle retention rate up to 100 times higher than the regular filter. All in all, the IQAir home purifier perceives the Higgs-boson of air contaminants, which are known as VOC, or volatile organic compounds. Basically, these are petrochemical airborne particles that home appliances emit all around your house. The HealthPro also dwarfs competition when it comes to noise levels. Its six different fan speeds ensure your home air purifier will be as silent as a ninja. You may wish to be the proud owner of a top-notch device such as this, but first, read the price tag on Amazon. Your newfound enthusiasm might end up disappearing into thin air. The Airocide really breaks the ranks of modern home air purifiers. Nothing less is to be expected from a piece of technology that NASA developed and implemented. The reason this machine stands out from the crowd is that it removes air pollutants not with the use of a filter – it’s actually filterless – but through the means of a highly reactive catalyst. Who doesn’t want a piece of NASA’s ingeniousness in their home? The price sure beats the previous competitor on our list. Are You Still Up in the Air About It? Listen to the professionals. According to the Environmental Protection Agency, levels of about 12 VOC pollutants are up to five times higher indoors than outside. And the result comes regardless of whether the area is rural or highly industrialized. In this situation, a home air purifier can really make a difference for your lungs and overall health. Take that deep breath and feel inspired with wellbeing!